If you are interested in working with us on goat behaviour/cognition at FBN Dummerstorf, please contact me via email or find more information regarding potential funding options here and here. Hi, my name is Christian Nawroth. I stare at goats to better understand how they perceive their physical and social environment. My main research interests focus on animal cognition (in particular farm animals), applied ethology, and animal ethics. Please contact me if you have any questions regarding my research. 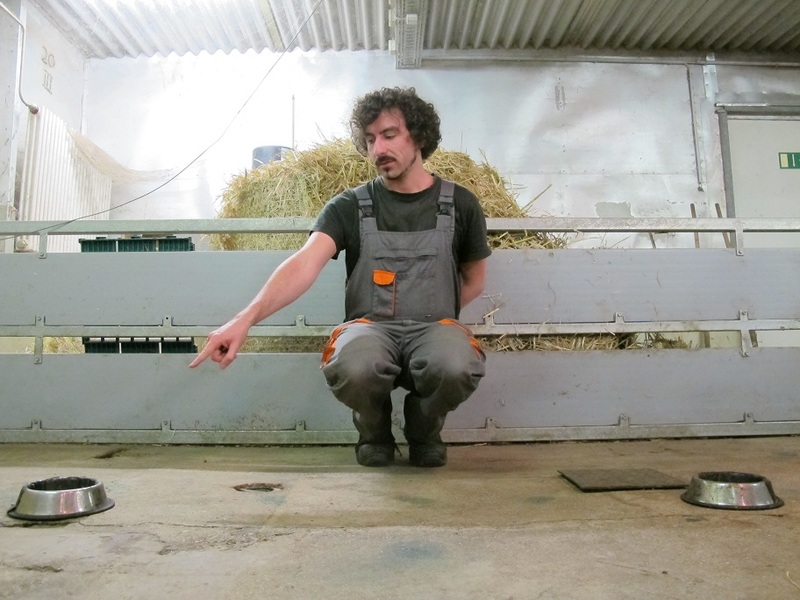 In April 2017, I started working on a project involving goat cognition and enrichment supervised by Dr. Jan Langbein at the Leibniz Institute for Farm Animal Biology (Germany) and Dr. Nina Keil at the Agroscope Tänikon (Switzerland). We are interested in how domestication and specific selection aims have affected the behaviour and cognition of different breeds of goats. We will also assess the long-term effects of repeated cognitive testing on behavioural, motivational and physiological parameters in domestic animals, paving the way to a better incorporation of cognitive enrichment into concepts of animal welfare. Find out more about me at Google Scholar, ResearchGate, Publons, ImpactStory and Twitter. In 2015, I received a 2-year fellowship from the DFG (German Research Foundation) in which I studied human-animal interactions in goats at Queen Mary University of London. The main goals of this project have been to investigate the kind of information goats extract from humans and how they use it in their decision-making processes. Our results indicate that goats, similar to dogs, show human-directed behaviour when confronted with a task they cannot solve on their own, differentiate between human attentional states, can discriminate between human emotional facial expressions and learn socially from humans in a spatial problem-solving task. 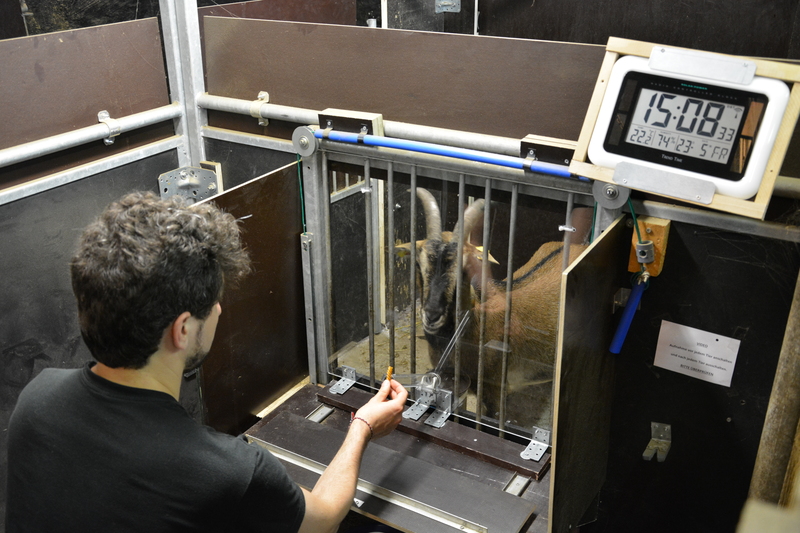 We also found that the personality traits of goats affect their performance in various learning and cognitive tasks. All tests were conducted at Buttercups Sanctuary for Goats in Kent/UK. During my PhD studies (supervised by Eberhard von Borell), I investigated a variety of physico- and sociocognitive capacities of farm animals. In particular, I studied whether test paradigms previously used with primates and dogs are suitable to test livestock animals. Here, my main research focused on the cognitive capacities of domestic pigs. We found that very young pigs are able to use indirect information to find food and, like dogs, are able to use complex human pointing gestures and a human´s head direction to a location that contains a reward. In addition, I conducted cognitive studies on dwarf goats at the FBN in Dummerstorf, Germany. What first started as a side project quickly turned into a productive collaboration. Goats showed to be sensitive to the attentional state of a human, but, unlike pigs, were not able to use the head direction of a human to find a hidden reward. Surprisingly, goats showed exceptional skills in anticipating changes in their physical environment. Here, some individuals were able to follow complex movements of hidden objects – a task in which other non-primate mammals (e.g., dogs) normally perform poorly. 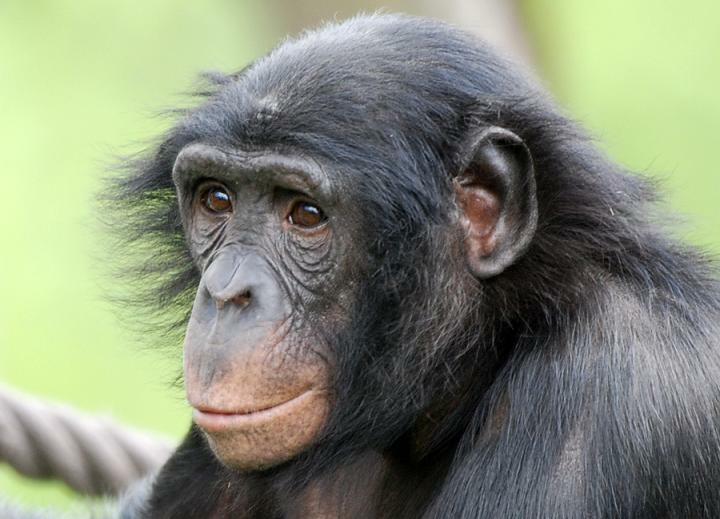 During my diploma thesis, I investigated decision-making under uncertainty in all four Great Ape species at the Max-Planck-Institute for Evolutionary Anthropology (supervised by Josep Call). ‚Surprised‘ in a wider sense. ‚Being as stupid as a goat‘ is a common insult in Germany, so the results contradicted this commonly held misconception. Sind Ihnen die Arbeiten von Prof. W. Bianca (Klimakammerversuche Chamau) bekannt. Auch haben wir ueber die Zwitterbildung bei Ziegen (Genetik) viel gearbeitet. Das hoert sich sehr interessant an – gibt es einen Link zu den Arbeiten?